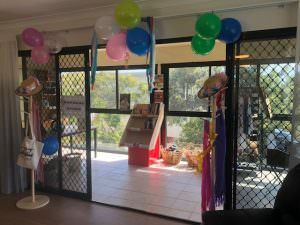 Earlier this month, our Coffs Harbour home opened their new ‘General Store’. 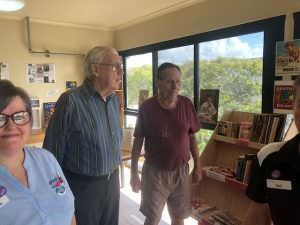 The in-house shop has been designed to give residents a chance to purchase numerous items that would usually involve a trip to a shopping centre – something that isn’t practical for some members of our community. The General Store is open every day from 10.30–11.30am and 3.30–4.30pm, and stocks clothes, books, newspapers/magazines, shoes, lollies, knick-knacks, puzzles, hats, scarves, framed pictures and more. The residents have loved the new addition so far – many have enjoyed showing off their new purchases, while others have been enjoying the added decision making and freedom of choice that shopping provides. Further developments have been planned at the store, with a bank to be included, in addition to an optional roster for residents should they wish to try their hand at managing the store on some days.